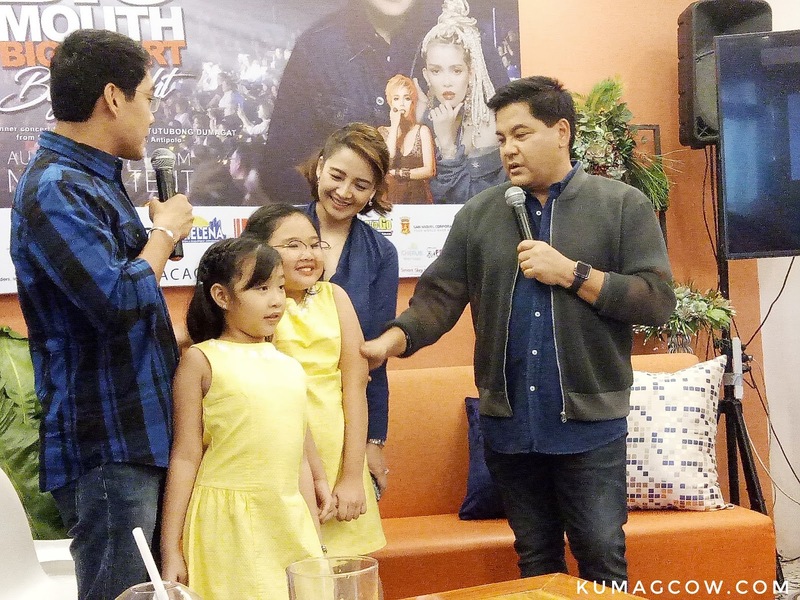 Now I know you and I love Matin Nievera, but this news would make you love him even more. You see, he's been helping a lot of artists start their careers and support them in their concerts by appearing for free. You can ask the greats, and he'll probably be in their Thank You list because he's always been like that. In this concert though, he takes it even further. Outbox Media Powerhouse Corporation and Ka Tunying's Cafe will be producing this concert entitled BIG MOUTH, BIG HEART, BIG NIGHT for the benefit of our brothers and sisters from the Dumagat Tribe from Sitio Apia Barangay Calawis in Antipolo. For those who don't know, these tribes used to live in coastal areas but with the advent of modern living, had been pushed back to live in the mountains of Rizal, Aurora and Quezon. These people live off the land and most of them live below the poverty line. Their resource and means only come from the forest and to say the least, they live very hard lives. This is one of the instances that they knew they had to help. This is why they put up an annual benefit concert. 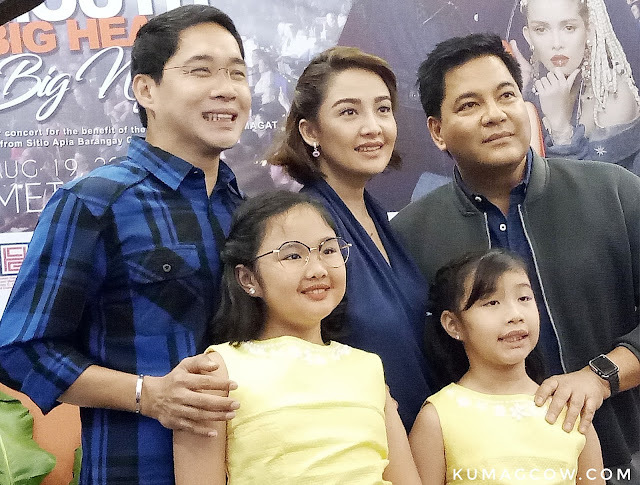 Anthony Tunying Taverna, Ms. Rossel Taberna and Martin Nievera will be entertaining you for a good cause so if you have the time to watch the show, please do! Ms. Rossel says "We will try to be there and they mostly need medical assistance. We will go there personally. We will have programs, games for the kids and adults too. It's hard to get there but we will try to do a small activity in the remote school. It's also our first time to hear about them, imagine they are just 2 hours from here, so hopefully we can help them by climbing to their community this August. We want people to also be aware about this cause and we're thankful for Martin who wanted to do this with us." Ka Tunying said "The truth is Outbox Media has been already there even before Ka Tunying's Cafe came in the picture. They have been doing this for 11 years. We did a similar show in the past but I'm glad that even if he's very busy, he still had us have him for the show." 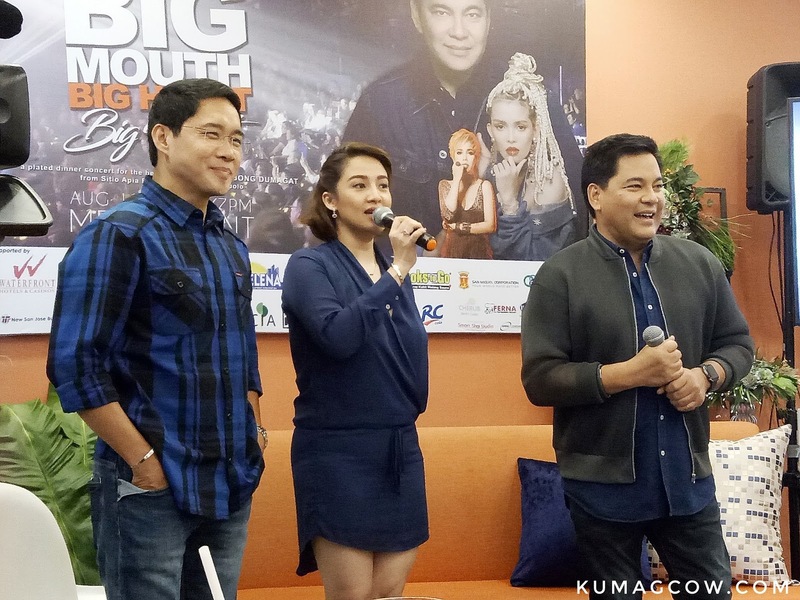 Martin Nievera says "This is my second time to work with them. The past was with Pops and my kids, and I knew we had to help the Dumagats. Somehow I have big dreams, big intentions for the pleasure of where the money is going. It's more of what I think singers should start doing. I am glad to be one of their performers that evening. They don't have to do this but they are giving back. This is substance, I celebrated my 35th year in the industry and this is big for me -and is an achievement. My aim is to be priceless. It's their project and I am helping whatever way we can." "When I choose songs for events like these it is mostly based on their wishlist, and we dedicate them to the people who will go there. It will be at the Metro Tent Conference Center. It won't be charity if you post about it on social media but if it's to get more fans and people to participate in this program, then we'll do it. I personally have a lot of low moments, there's a new purpose for me now. Hopefully this would be a beginning of something new too. Hopefully to be used for more other than business. There are a lot of singers who can do this, maybe not have the title, maybe better than me, you have to be grounded and humble though because their fame is as fast as the internet. I wanna do more endorsements and shows that last a long time. On September 4, I'll have a show in Hawaii at Blue Room. It would be hard to see that not filled. This concert, I don't have to do this but to set an example and hopefully to follow me with whatever fame I have left, just me doing this is an honor. These two (Ka Tunying and Rossel) don't have to do this either but they do and these are the things we have to emulate because it is selfless, it's a way to help and that's a great thing." I was surprised Mr. Nievera is very well dressed, even if he told us he didn't have a stylist. He just buys em off the shelf and watches what people would wear. He must have really invested in clothing in the past. I envy him. For tickets you may contact 7034239 and this concert will happen at the Metro Tent Convention Center. His guests includes Kakai Bautista the dental diva and super power belter KZ Tandingan. Make sure you watch as the Php 5,500 price of the tickets will include a plated dinner and this fantastic show.